Life insurance is something we don't like to think about but it is something we will all need at some point. The process can be very overwhelming for any family and painful to think about the death of a loved one. Life insurance is something we do for the loved ones we leave behind. The passing of a loved one is trama enough without taking into account of the struggle of the financial burden and hardship that can come from the loss of an income. As the wife of a sheriff's deputy, I often wonder if our family has enough life insurance? It's all so confusing however this is an issue we want to address far from the time we need it. For all these reasons we are thrilled to be teaming up with Jenny Life to share with you how easy acquiring life insurance can be. Jenny Life, is a Seattle-based team of insurance specialists and software engineers that came together to develop an easier process to share information with us all. They developed a mobile application that is compatible with both Apple or Android phones. The mobile application allows you to get a quote and apply for life insurance in a few minutes, it is entirely EXAM-FREE and is for the entire family. 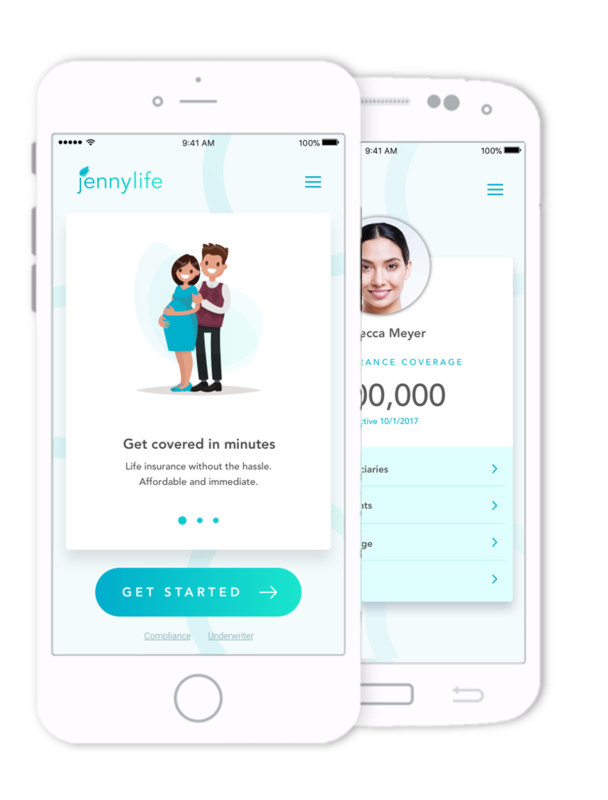 The Jenny Life application allows you to get an instant quote and apply for life insurance entirely from a mobile phone and is available in 48 states. Although Jenny Life works for anyone, it was built specifically with moms in mind. “Over 60 percent of mothers don’t have life insurance and we view this as a public policy issue,” said Chirag Pancholi, co-founder of Jenny Life. For more information, you can visit www.jennylife.com. You can also follow them on Facebook and Twitter to get all the latest updates or check out their videos on Vimeo.